Port wine (also known as Vinho do Porto or Porto) is a Portuguese fortified wine produced exclusively in the Douro Valley in the northern provinces of Portugal. It is typically a sweet, red wine, often served as a dessert wine, though it also comes in dry, semi-dry, and white varieties. Under European Union Protected Designation of Origin guidelines, only the product from Portugal may be labeled as port or Porto. In the United States, wines labeled "port" may come from anywhere in the world. In general, Port has sweet, fruity flavors of ripe berries, figs, and raisins with hints of toasted nuts. The style of Port you're drinking—white, tawny, ruby, LBV, Colheita—can greatly affect how successful a cheese and wine pairing is. The five cheeses below may not pair perfectly with all different styles of Port, but they do give you a good place to start. As with most pairings, experimentation is the key to finding a match made in heaven. Stilton is the classic pairing with Port, not only because the salty, nutty nuances in the cheese pair beautifully with the sweet wine, but also because of Great Britain's long history of being involved in the wine trade in Portugal. 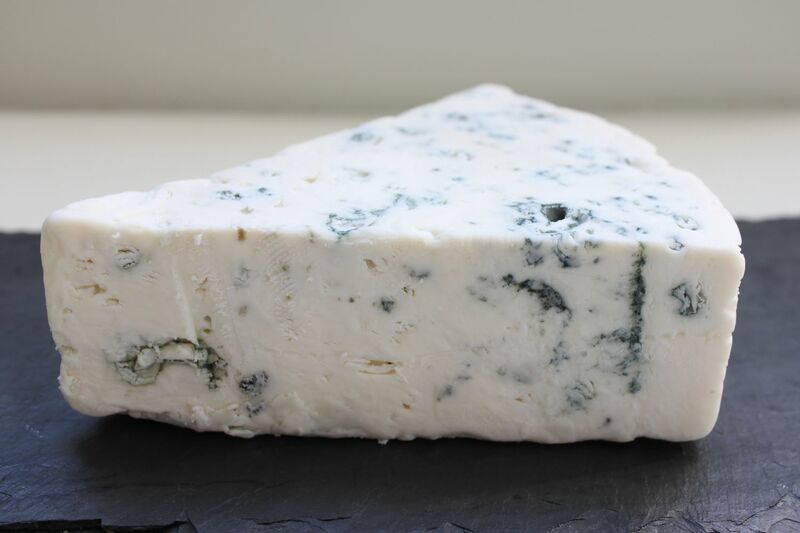 If Stilton isn't your favorite blue cheese, then go ahead and try your blue cheese of choice with Port; in most cases, you'll find that whichever blue cheese you choose, it will make a fine pairing with Port. Other blue cheeses to try are Gorgonzola, Great Hill Blue, and Cashel Blue. Another English cheese makes the cut as a partner to Port, this time an earthy, nutty and fruity aged Cheddar like Montgomery's. The Montgomery family have been farming in North and South Cadbury, England for three generations, making their renowned Montgomery's Cheddar. Montgomery's Cheddar is one of the few truly traditional, handmade, unpasteurized types of cheddar. The Montgomery farm uses milk only from their own herd of 200 Friesian cows. The cheese is made available in a variety of flavors, aging periods, and sizes. The Port brings out the nutty and creamy characteristics in a farmhouse cheddar and the two paired together are almost satisfying enough to be a meal. Give other aged cheddars a try too, either domestic or imported. Other Cheddars to try are Beecher's Flagship Cheddar, Bravo Cheddar, Cabot Cheddar. Gouda, or "How-da" as the locals say, is a yellow Dutch cheese made from cow's milk named after the city of Gouda in the Netherlands. It is one of the most popular cheeses in the world, accounting for 50 to 60 percent of the world's cheese consumption. It is a semi-hard cheese celebrated for its rich, unique flavor and smooth texture. Since the name is not protected, it has become a generic classification for all cheeses produced and sold under the name Gouda. Hard and aged or creamy and young, Gouda is a pairing that usually works well with Port. The two share a sweetness that is rarely offensive when enjoyed together. The older the Gouda, the more challenging the pairing becomes, as a caramelized aged gouda could overpower the Port you're drinking. Azeitao is a Portuguese cheese that makes a good regional pairing with Port but also makes the list because of its creamy texture and nutty nuances. Thistle rennet gives Azeitao a grassy and tangy character that can be smoothed out by the sweetness in Port, although occasionally it is exaggerated by dessert wine. The smooth, sometimes runny texture of Azeitao is a luxurious combination with the rich texture of Port wine. Another Portuguese cheese to try is Sao Jorge. Gruyere is named after a Swiss village. It is a traditional, creamy, unpasteurized, semi-soft cheese. The natural, rusty brown rind is hard, dry and pitted with tiny holes. The cheese is​ a darker yellow than Emmental but the texture is more dense and compact. Slightly grainy, the cheese has a wonderful complexity of flavors, at first fruity, later becoming more earthy and nutty. The tiny, crunchy crystals in Gruyere are a nice contrast to the silky texture of Port. The fruitiness of Port can also play nicely with the sharp, nutty flavors in Gruyere.